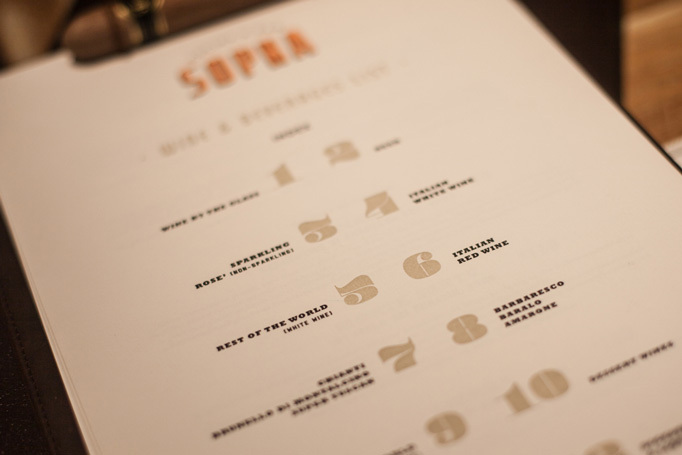 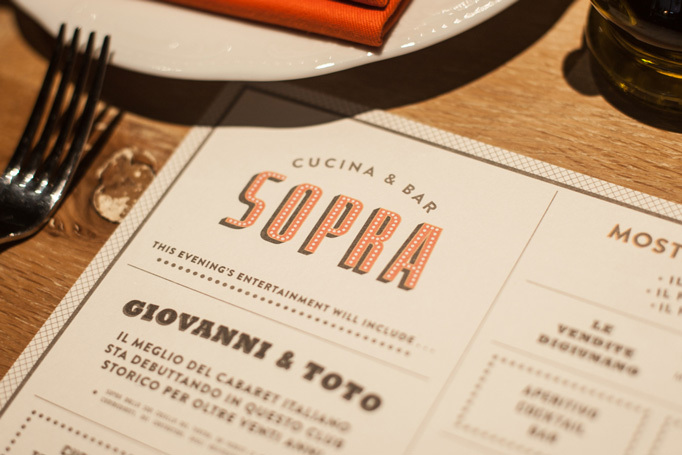 The concept behind Sopra Cucina & Bar is a tribute to Italy during the dazzling post-World-War-II economic boom when Hollywood and the films of Federico and Sophia Loren occupied the imaginations of the enamored citizens. 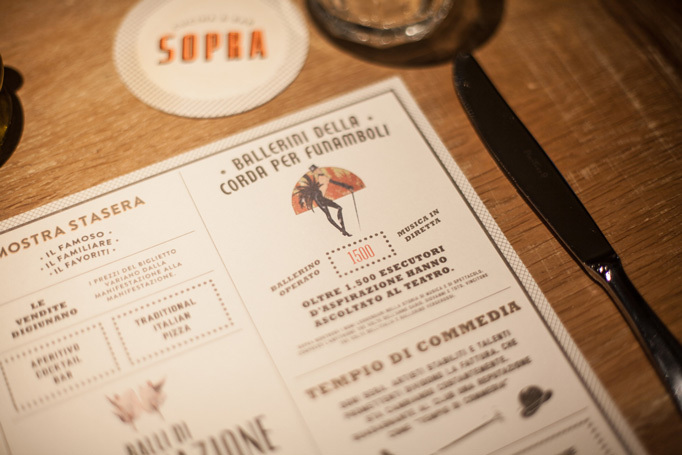 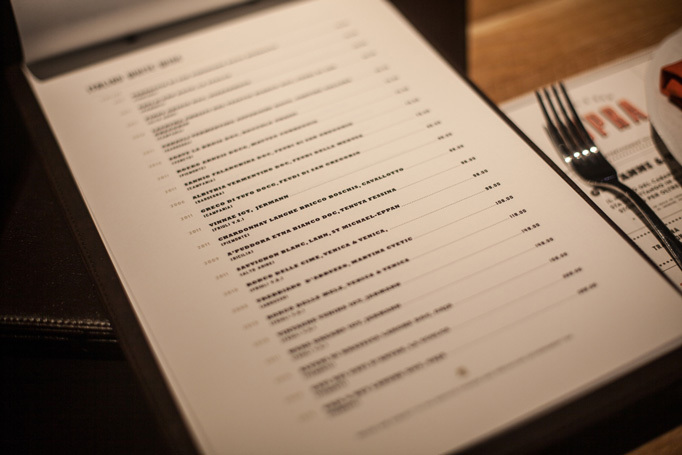 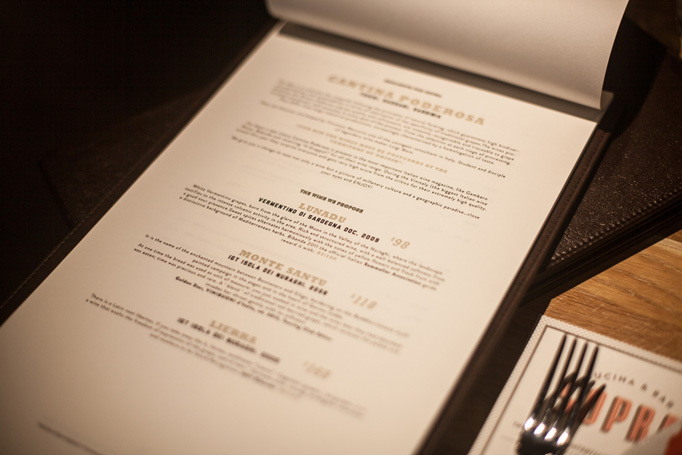 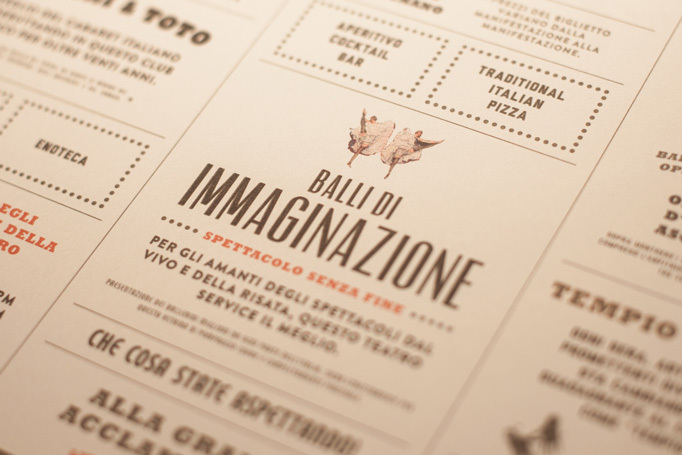 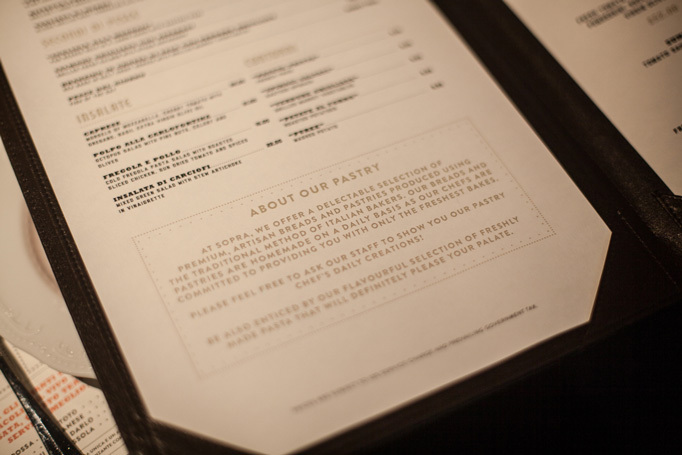 In the menus these ideas come through in the vintage Hollywood influenced typography. 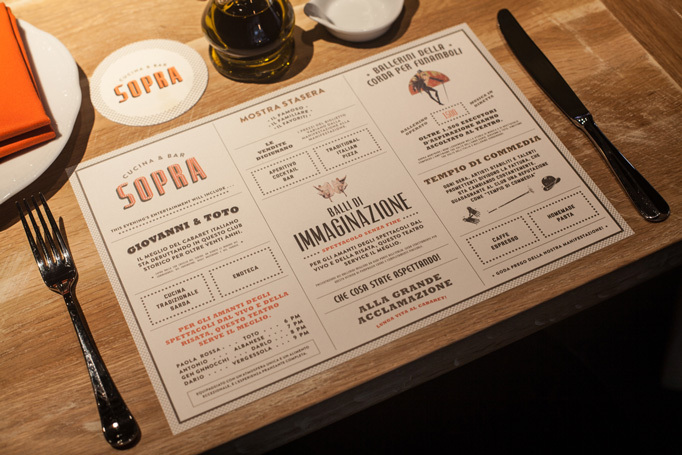 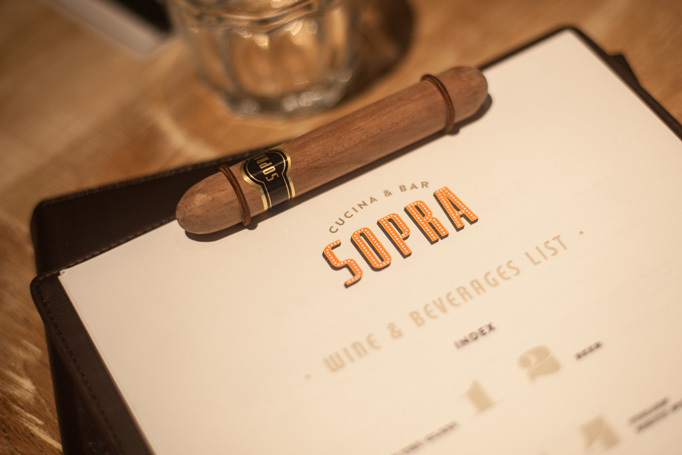 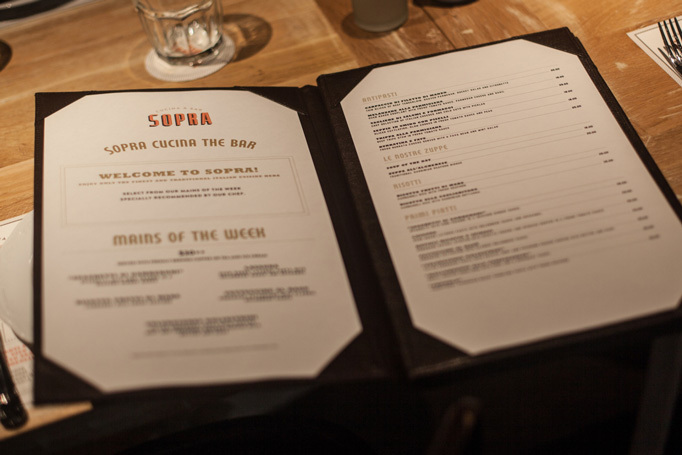 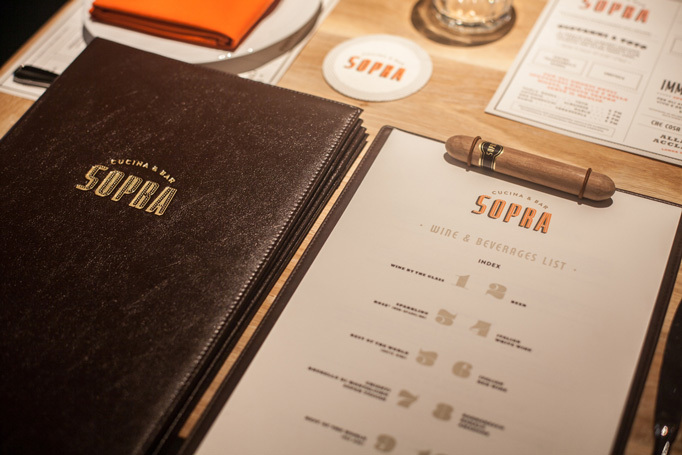 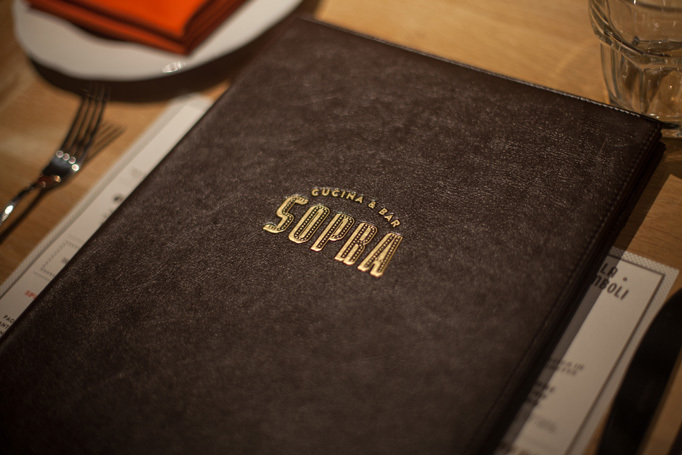 Visit Sopra Cucina & Bar.